Techtextil is the next exhibition on the calendar for SAF™ (Super Absorbent Fibre) manufacturer Technical Absorbents (TAL). TAL will be located on stand B08 in hall 4.1 – which is focused on fibres and yarns. 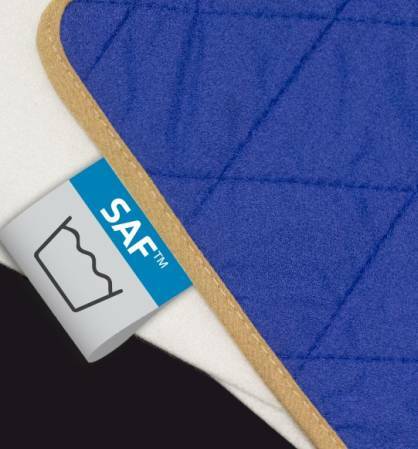 In addition to promoting its core product SAF™, it will also be displaying a range of its super absorbent SAF™ fabrics, which are already used in a wide range of applications. One of the main products on display will be its new washable SAF™ nonwoven fabric technology. The material, when used as a core within protective outer materials, can be laundered and dried with minimal absorbency loss. Such a fabric has been developed as a solution for different industry sectors including hygiene and apparel. There are also many other potential applications for the fabric that are yet to be explored. “Innovation is at the heart of everything we do as a company,” explains TAL Commercial Director Paul Rushton. “Events such as Techtextil not only allow us to promote the wide range of uses for SAF™, but also discover new opportunities for its application within the industry of technical textiles. “Our washable fabric is one of TAL’s latest product innovations and samples will be available to view during the event. It is just one example of how we have taken our unique core SAF™ fibre and, through creative product development, realised a unique fabric which can be integrated into a number of different products that require moisture containment/management." During the event, TAL will also be able to demonstrate the benefits provided by its SAF™ technology when used within advanced wound care, hygiene, filtration, packaging and cable applications – to name just a few. Representative from TAL’s product development team will be available on its stand throughout Techtextil. Pic: SAF™ fibre can absorb extremely quickly up to 200 times its own weight in demineralised water and circa 60 times its own weight in saline.